Dactylus Casino provide sophisticated Fun Casino Entertainment for any occasion. Providing fun casinos to charities, societies, clubs, weddings, hen and stag parties, birthday parties, corporate and private functions. We can offer Roulette, blackjack, three card poker, casino stud, caribbean stud, casino war etc. 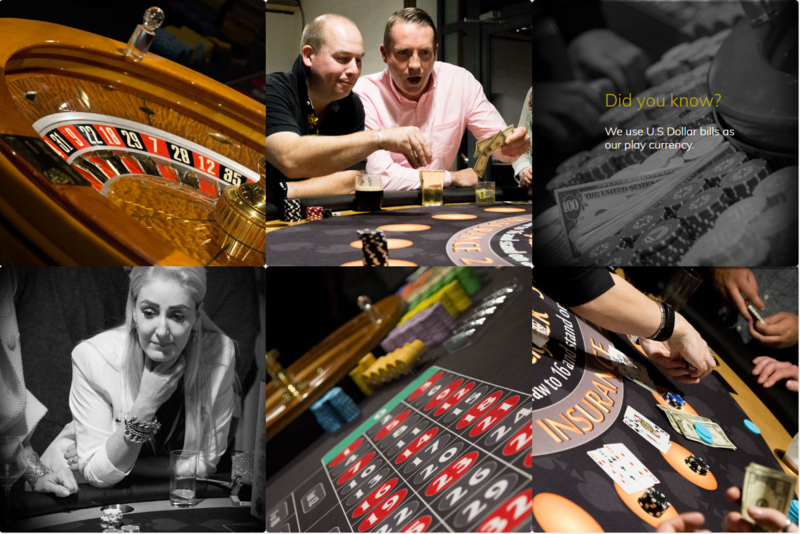 All events are presented at a venue of your choice by our own experienced croupiers. We supply only the best equipment, including a superb range of full-size gaming tables, and can adapt packages to suit almost any number of guests at any location. A Casino is the ideal icebreaker when two families get together. The Casino may be used just after the wedding ceremony and before the meal as there is usually a period of time taken for photographs, when many guests are left to fend for themselves. The Casino would certainly keep them amused. Alternatively it would serve as a warm up before the dancing starts. In any respect, it gives the guests time to mingle and meet each other. It will also provide an enjoyable and memorable time. On the entrance table there will be a sheet explaining how the evening works and an explanation sheet of how each game is played. Each guest may freely help themselves to this information. The croupier at each table can answer any further questions that a player may have. Each guest will be given a quantity of “play money”, which can be exchanged at any of the Casino tables for playing chips. There can be 2 or 3 hours play and when the time is up the croupier at each table will take the name of each player and the value of chips that they have. This will be correlated with the other tables and the player with the highest value of chips will win the prize. The prize will be at the discretion of the bride and groom, but cannot be cash. There are a number of Casino tables to choose from and we can tailor these to suit your numbers and budget. But in any case, your first step is to contact us for a friendly, no obligation, informative chat. Contact us today to discuss your wedding casino!